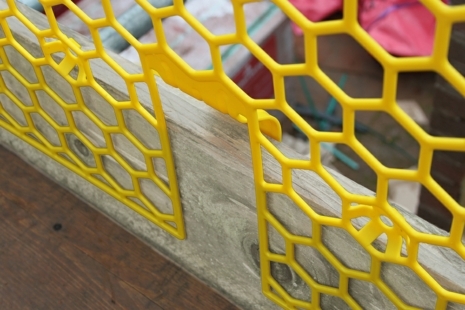 A new durable, lightweight, plastic brickguard that lasts 10 times longer than traditional steel brickguards. 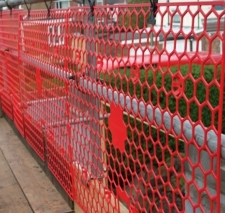 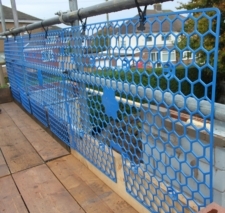 A British made product, Hexguard is the largest panel available in the UK, combining excellent built in features with a panel that conforms to TG20 recommendations and BS EN 12811-1 (2003). Also available in pallets of 200. 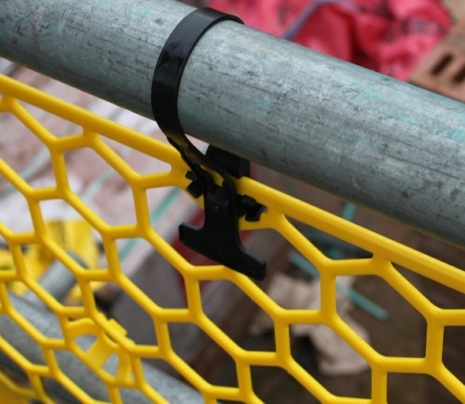 Don't forget your 'Clip on' Nylon Strap, with quick release, manufactured specifically for use with Hexguard. 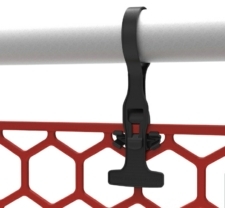 Our straps are reusable and can remain attached to the Hexguard when stacked. 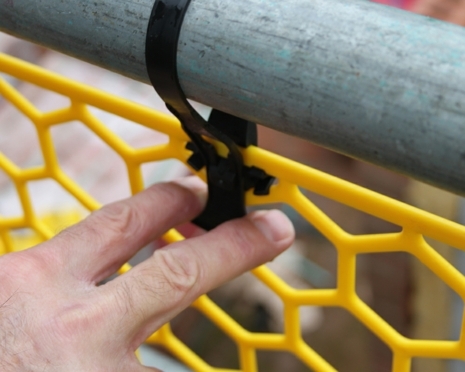 Alternatively you can use our cable ties. 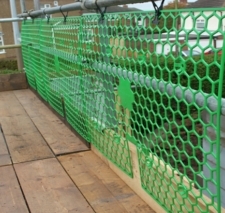 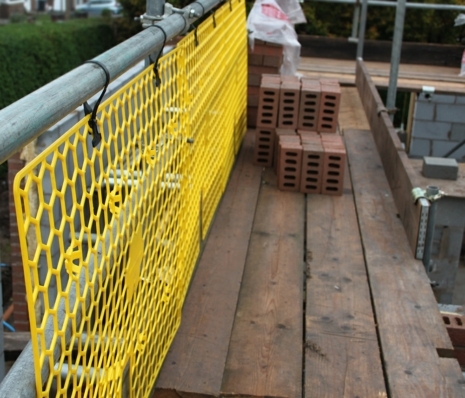 You may also be interested in other scaffolding safety products, our range of scaffolding tools and accessories and our scaffolding ancillaries. 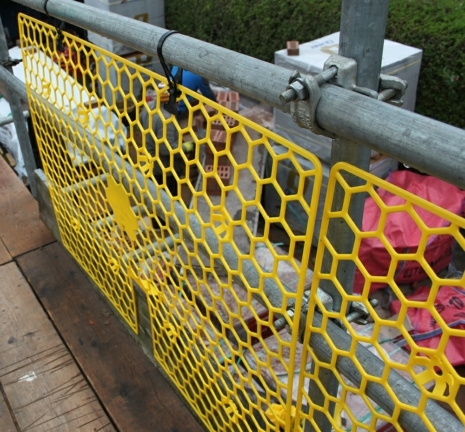 For large orders please email sales@deltagb.com or contact us on 0151 678 7997 with a list of requirements for an accurate quote including delivery.